AND ....... if you're a space buff like me - this one's a goody! NASA On The Air! 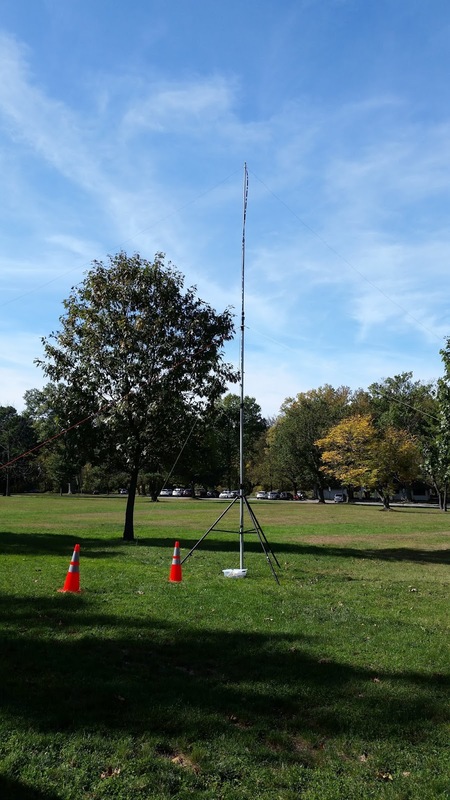 The Amateur Radio clubs at National Aeronautics and Space Administration (NASA) centers around the US have invited the Amateur Radio community to join the NASA On The Air (NOTA) special event. NOTA gets under way in December 2017 and continues through December 2018. In addition to being the agency’s 60th anniversary, 2018 will mark 50 years since NASA orbited the first human around the moon, and 20 years since the first elements of the International Space Station (ISS) were launched into low-Earth orbit. Starting on Monday, December 11, 2017 (UTC), Amateur Radio club stations at various NASA centers and facilities will be on the air with special event operations to celebrate these monumental achievements, as well as current milestones. Some clubs will offer commemorative QSL cards, and a special certificate will be available indicating the number of NASA club stations worked on various bands and modes. “We plan to have a web-based system for you to check your points total and download a printable certificate at the end of the event in December 2018,” the NASA announcement said. “Points will be awarded for each center worked on each band and mode (phone, CW, digital, and ‘space’ modes — satellites, meteor scatter, EME, ISS APRS).” That would, of course, include contacts with any of the Amateur Radio stations on the ISS. Key anniversaries during NOTA include the 45th anniversary of Apollo 17 on December 11, 2017, which kicks off the event; NASA’s founding on July 29, 1958; the 20th anniversary of the ISS first element launch on November 20, 1998; the 20th anniversary of the ISS Node 1 Launch on December 4, 1998, and the 50th anniversary of Apollo 8 — launched on December 21, 1968, and returned on December 27 — marking the end of the event. Ham radio clubs at various NASA facilities will sponsor their own special events to commemorate and celebrate specific events. I can imagine the pileups now! about replacing the W3EDP this past weekend. While it's not the greatest or most efficient wire antenna I've ever had, for some reason it's the best wire antenna for 160 Meters that I've ever had. In the past, my 88' EDZ and G5RV were very poor performers on Top Band, if I could get them to load at all. Contacts with those netted me QSOs in New Jersey and New York could have been considered DX. On the other hand, the W3EDP has taken me up and down the East coast and gotten me as far as Illinois with 5 Watts. I know, no great shakes, but even a small trickle of water is like a river to a man dying of thirst. 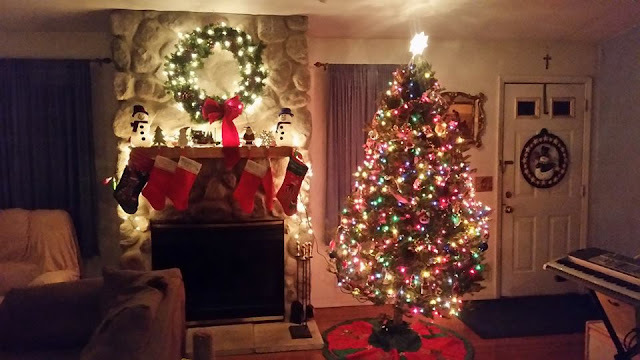 For the coming season of shorter days and longer nights, I decided that instead of replacing it for now, I'd just try to get it up higher, and I did. I managed to shoot a line over the tree and the apex of the W3EDP is now at about the 40 foot level. Unfortunately, as it slopes down to meet the mast on the far side, it's a zig-zag affair within the tree limbs. But it will do for now, while I do some more research to figure out what to swap this out with next Spring, before the leaves return. I didn't play much in the CQ WWDX this weekend. I only made 1/2 dozen contacts or so on Saturday afternoon, as I got busy with other things. But it was apparent that the absence of sunspots is doing QRPers no big favors. QSOs with locations that were easy pickin's just a few years ago were still able to be accomplished - but took a lot more effort. I was a surprise that the Caribbean stations weren't hearing me as well as they used to. It's amazing how quickly you get used to great band conditions and good propagation when the sunspot numbers are up, and how quickly you notice it when they're not there anymore. 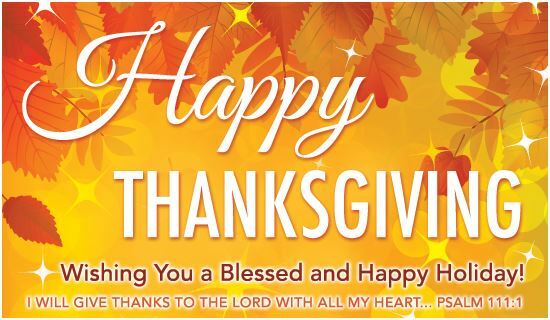 Today, in the United States of America, we celebrate Thanksgiving Day. The day was set aside as a national holiday by President Abraham Lincoln, in order that we, as a people, might take time to reflect upon and be thankful for the bounty that Almighty God has bestowed upon us. Where do I begin? Of course, I am thankful for the "things" we have. A warm house, clean clothes and enough food to keep us well fed. But even more than the "things", which are just things, I am so grateful for all the people in my life, past and present. My loving family, friends, associates, acquaintances, teachers and professionals who have been part of my life and who helped shape me into the person that I am. No man is an island, and I am so grateful to God that He put all these wonderful individuals into my life. 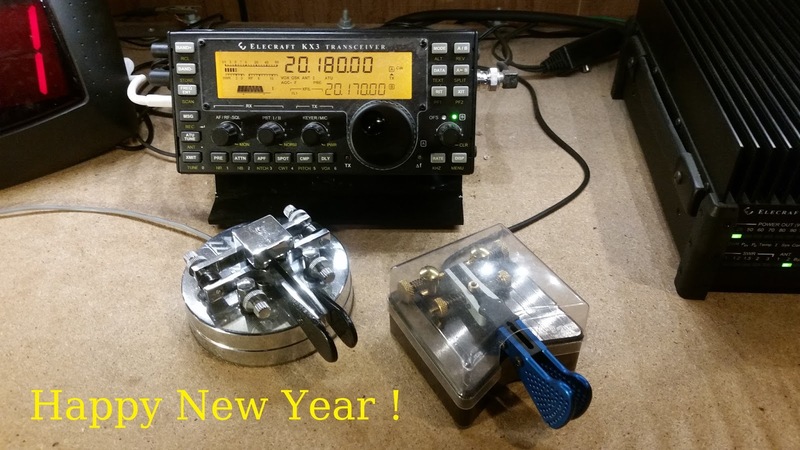 I am particularly grateful for Amateur Radio and because of it, for the friendships and associations that I have been able to make with you through this blog. I thank God for each and every one of you, and I thank you for your continued reading of this little blog. You are in my prayers, today and every day, and I hope that I will be in yours. "Give thanks to the Lord our God, His mercy and love endure forever!" .... .- .--. .--. -.-- - .... .- -. -.- ... --. .. ...- .. -. --. which of course, translates to "Happy Thanksgiving". I stared at that for minutes, and finally made the connection because of the holiday tomorrow. 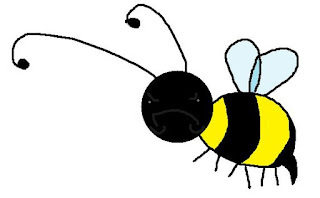 I just cannot, for whatever reason, very easily translate visual Morse. I have to HEAR it. I sit or stand there for minutes, slack jawed and mouth agape, trying to figure out what I'd be able to decode in a nanosecond, if I could just HEAR it! I guess it's just me, becoming a curmudgeon in my old age. 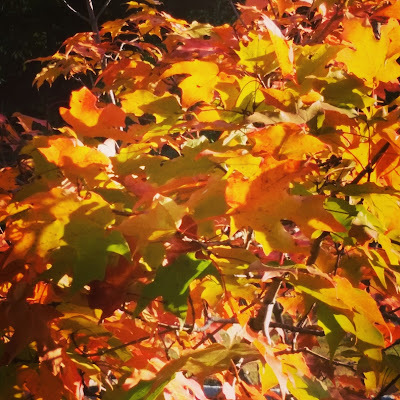 My plan was to hopefully get a line up over the maple tree in the backyard as a prelude to building and installing a new wire antenna over the Thanksgiving Day weekend. Again, it was not to be. By the time I got home from the FLDigi/NBEMS seminar that a bunch of us attended Saturday morning, it was already raining. Sunday was a no-go here because it was extremely windy. 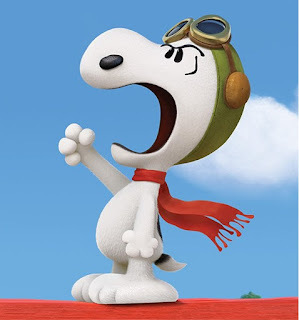 It was so windy, that as Harold (my Beagle) and I sat on the couch in the living room, we could actually hear the wind "howl" as it blew up and down the street. If I had attempted to shoot a line in that wind, I would never have gotten good placement. So that leaves next weekend. I kind of hate to take down the W3EDP as it served me decently well on 160 Meters. It really shouldn't have; but with 5 Watts, I was able to routinely get out as far west as Illinois. For a small suburban lot like mine, that's no small feat. I know that any doublet that I put up will not be nearly long enough to get me any kind of signal on 160 Meters. Not only is this do-able, it's not all that far away from the configuration that I had in mind, anyway. 46.8 Feet on the short side may be tight, but I think I'll be crossing the back yard on a bit of a diagonal and not straight across, parallel with the property line. That may just give me the few extra feet of space that I'll need. This weekend looks to be busy, getting the house ready for Thanksgiving guests and all (plus I'm attending a seminar on FLDigi and the NBEMS messaging system for AUXCOMM tomtorrow)- but maybe, just maybe, I can find time to shoot a line up into the tree so that I can be ready for the long Holiday weekend next week. Julian OH8STN is featured on my blog roll, to the right. Just a few days ago, he made a video about operating a field station totally from solar power, off the grid. 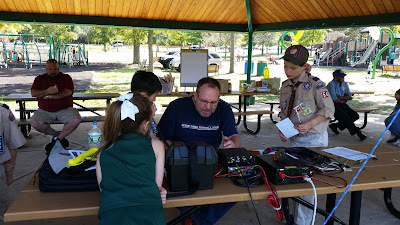 The South Plainfield Amateur Radio Club does this every Field Day, by using solar power to charge up our batteries. Our radios run from this power source for the entire 24 hours. Last year, I purchased a portable, brief case type of solar panel, along with a charge controller in order to accomplish the same goal. I haven't taken it out to the field yet, but I have used it from the back yard; and I know it will work if needed in an emergency situation. Next weekend is the long Thanksgiving Day Weekend here in the US. After the holiday on Thursday, that leaves me with three days off. If the weather is not bitterly cold (which it is not supposed to be), I am thinking of taking down the W3EDP and putting up a random length doublet in its place. Of course, this is all depends on no surprises coming out of left field that could possibly occupy the entire weekend. You know what they say about "The best laid plans of mice and men ......"
The main objective would be to get the wire higher than it currently is. I am going to follow the old rule of thumb - "Get up as much wire as you can, as high as you can." This is the antenna that I used for so many years as a Novice and it served me well. 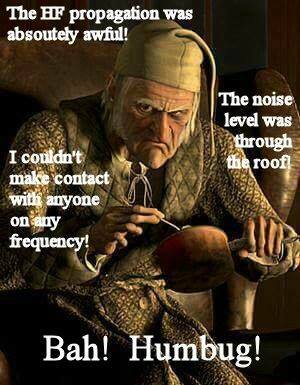 I think I still have a Ten Tec Antenna T kicking around in the basement. Basically, I would get that up as high in the maple in the backyard as I possible could, and then run as much wire as I could to each anchor point. 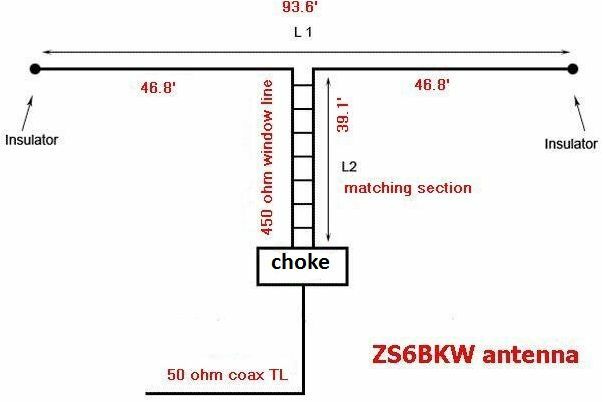 I will feed it with 450 Ohm window line to the ground, to a balun (A few years back, Bob W3BBO made me a beautiful 4:1 that I still have), and then RG213 to the shack. Off the top of my head, I am thinking I'd have about 50 feet of wire to one side and about 70 feet of wire on the other. The main thing, though, is that I'm hoping I can raise the wire level from about 25 or so feet to about 40 feet. This would be my customized version of "The 4$ Special" antenna. Ah, the joys of living on a small, suburban lot! You might be thinking, "Why did he wait until now? Why not do this in the Summer, when the weather is more comfortable?" I'll tell you why - most of the leaves are gone now. Hopefully there will be less snags and fewer #$*&! words uttered. As Jeff says, "Morse always makes it through!" IW is an abbreviation for Information Warfare. It would appear that Morse Code retains its relevance (outside of Amateur Radio) even in this day and age of computers and digital communications. After a "year off" the ARRL announced in the December issue of QST, it's newest operating event. The 2018 ARRL International Grid Chase follows on the heels of the successful Centennial operating event and the even more successful National Parks On The Air operating event. The idea is work as many different Maindenhead grid squares as you can, on any band (expect for 60 Meters) using any mode. Contacts made through satellites will count; but contacts made through earthbound repeaters will not. So how will all these contacts be kept track of? Through Logbook Of The World, of course! So it is imperative that you have an LOTW account as well as the station you are working. When you both upload your logs to LOTW; and you get a match, you get credit for a valid QSO for the ARRL IGC. Should you not know your Maidenhead Grid Square locator, it's easy to find out. You can either look yourself up on QRZ.com, or go to http://www.levinecentral.com/ham/grid_square.php. What's interesting about these two methods is that you might get different results. QRZ tells me that my grid square is FN20to and Levine Central tells me that it's FN20so. No matter ...... for the purposes of the ARRL IGC, you'll only need the first four places. In addition, exchanging the grid square during the QSO is not required. LOTW will keep track of that. I suppose that for those who will go out and activate rare grids, there will be some provision made for identifying what grid square was operated from when uploading contacts into LOTW. Will this be as successful as the last two events? That remains to be seen. The Centennial Event was huge success and NPOTA was a monster success. In any event, kudos to the ARRL for continuing to come up with ideas to keep Amateur Radio life a little on the spicier side. The resuts are in; and just as we suspected, the South Plainfield Radio Club, operating station NJ2SP had the best Field Day outing so far of our brief 4 year history. Operating as a 3AB station, we placed 2nd in our category, nationwide. We also placed 2nd in our ARRL Section - NNJ. Kudos to all the mebers of SPARC. You had a great Fied Day and you have every right to pleased with your peformance. And once again, to the doubters .... I think this shows that QRP can compete well with the rest of the pack - even in the death throes of a solar cycle. 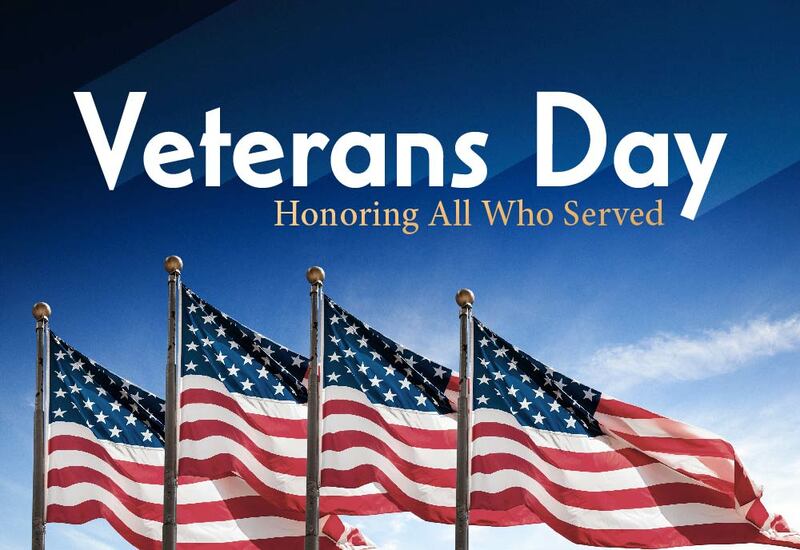 A Happy Veterans Day to all who have worn the uniform. Your dedication, and the time and treasure that you sacrificed while serving our country can never be adequately repaid. 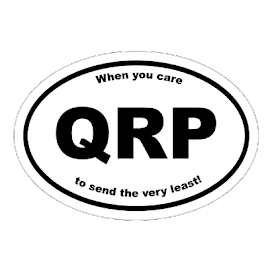 QRP - When you care to send the Xery least! Last night was the opening session of the 2017/2018 QRP Fox Hunt season. I had a modicum of success with a "one-fer". Our two Foxes last night were John K4BAI and Todd N9NE. I found John easily as he was 599 in New Jersey and I worked him rather quickly, getting a 579 report back from John only 12 minutes into the hunt. The balance of the 90 minutes was spent listening for Todd. I knew where he was (or rather, had a good guess as to where he was) by listening for his Hounds. Once I found them, I equalized the VFOs on my KX3 and then moved VFO A down a kHz and just listened, twiddling the knob little bits in an effort to hear something .... anything.. Todd never materialized and that was kind of odd. Usually, there's a virtual pipeline of HF signals between New Jersey and Wisconsin. No Wisconsin Fox for W2LJ !!! 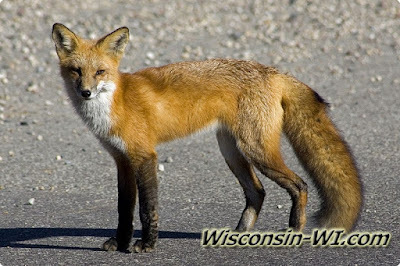 Anyway, I stayed up until 10:30 PM, hoping against hope that I would score some WI Fox fur; but it was not to be. Boy, am I paying for it this morning! That meant staying up past my normal bedtime and now today feels all "out of kilter". I slept 15 minutes past the alarm and if it weren't for morning coffee, I'd be shuffling around like a Zombie from NA5N's sprint a few weeks back. I've become such a creature of routine. If you told me this back when I was in my 20s, I'd probably have laughed right in your face. I'm not laughing now - chuckling a bit (and wishing I could take a nap), but not laughing. Last night, I got the rare opportunity to actually park my carcass on the couch in order to enjoy a little television. No meetings, no having to drive the kids anywhere, no chores - just a chance to relax. I was tuned into TVLand and was watching an old episode of M*A*S*H, because quite frankly, there isn't much on TV that satisfies me these days. I had my tablet in hand and was half-heartedly scrolling through Facebook, when all of a sudden, I was made aware by several Amateur Radio ops and the ARRL that our hobby was going to be featured on "NCIS" on WCBS TV. It was already about half way through the show's time slot when I noticed this, so I quickly changed the channel. What a disappointment ....... what an utter, abject disappointment. To be honest with you, I was glad I didn't see this from the beginning. That probably wouldn't have dome my blood pressure any good. The only thing the writers got correct was to use authentic Amateur Radio gear in the show. Other than that, everything was bogus. I don't know what formula they used for call signs; but it wasn't anything remotely close to what we use here in the US. I know, maybe they didn't want to take the chance using a real call, but the format they used was ridiculous. Then, they made special effort to involve "handles". My goodness, I was swept immediately back to the '70s and Citizens Band radio. Every now and then you'll hear a Ham refer to his first name as his "handle" or "personal" (which makes me cringe), but even those folks actually use their names in a QSO. Nobody gets on the air and uses names like "Ricochet" or the garbage they put into last night's episode. The final straw was how they portrayed the Amateur Radio ops that they featured in the show. To put it bluntly, the Amateur Radio characters were portrayed as losers. 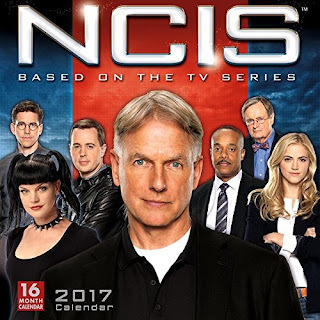 I know that the world of Amateur Radio is a microcosm and that we have our share of kooks and odd balls, but the Hams portrayed on "NCIS" were ridiculous. What steams me the most is that all the good press that Amateur Radio has garenered lately due to our involvement in assisting with or providing communications during the hurricanes and wild fires could be potentially nullified by this portrayal of Hams as nerdy, unkempt individuals who are nothing more than social misfits ...... at best. I doubt I've seen a better instance of stereotyping in a long time. I can only hope the show got lousy ratings last night. A much better critique has been offered by Don Keith N4KC, who is a light years better wordsmith than I. His opinion piece on this debacle can be read here: http://n4kc.blogspot.com/2017/11/i-dont-know-why-i-expected-anything.html The only consolation is that if N4KC thought last night's episode was a piece of ........, well then, it was. Thanks NCIS and WCBS .... for not much. The following is a copy of a copy. Originally posted on the K3 e-mail reflector, to which I do not subscribe, it was then posted to the CW Ops reflector by Bob, N7WY. It is so good and meaningful to us Morse Code fans, that I am re-posting here. But back to CW. Here’s why it works for me. YMMV. CW feels personal and visceral, like driving a sports car rather than taking a cab. As with a sports car, there are risks. You can get clobbered by larger vehicles (QRM). Witness road range (“UP 2!”). Fall into a pothole (QSB). Be forced to drive through rain or snow (QRN). With CW, like other forms of human conversation, you can affect your own style. Make mistakes. Joke about it. With very simple equipment that anyone can build, such as a high-power single-transistor oscillator, you can transmit a CW signal. I had very little experience with electronics when I was 14 and built an oscillator that put out maybe 100 mW. Just twisted the leads of all those parts together and keyed the collector supply--a 9-volt battery. With this simple circuit on my desk, coupled to one guy wire of our TV antenna mast, I worked a station 150 miles away and was instantly hooked on building things. And on QRP. I’m sure the signal was key-clicky and had lots of harmonics. I’ve spent a lifetime making such things work better, but this is where it started. Going even further down the techno food chain, you can “send” CW by whistling, flashing a lamp, tapping on someone’s leg under a table in civics class, or pounding a wrench on the inverted hull of an upside-down U.S. war vessel, as happened at Pearl Harbor. Last Saturday at an engineering club my son belongs to, a 9-year-old demonstrated an Arduino Uno flashing HELLO WORLD in Morse on an LED. The other kids were impressed, including my son, who promptly wrote a version that sends three independent Morse streams on three LEDs. A mini-pileup. His first program. Finally, to do CW you don’t always need a computer, keyboard, mouse, monitor, or software. Such things are invaluable in our daily lives, but for me, shutting down everything but the radio is the high point of my day. The small display glows like a mystic portal into my personal oyster, the RF spectrum. Unless I crank up the power, there’s no fan noise. Tuning the knob slowly from the bottom end of the band segment to the top is a bit like fishing my favorite stream, Taylor Creek, which connects Fallen Leaf Lake to Lake Tahoe. Drag the line across the green, sunlit pool. See what hits. Big trout? DX. Small trout? Hey, it’s still a fish, and a QSO across town is still a QSO. Admire it, then throw it back in. The best sentiments I have seen or read about CW in a very long time. Thanks, Wayne, for putting into words what a lot of us feel! This episode of the ARRL's "The Doctor Is IN' is semi-devoted to QRP. I am listening to it right now. Sponsored by DX Engineering, "The Doctor Is In" is a bi-weekly podcast offered by the ARRL. You can get it from the iTunes store, or through Blubrry or Stitcher. I use the free Stitcher app for my Android phone. So far, it's a pretty vanilla discussion on QRP. Nothing isn't being talked about that a seasoned veteran QRPer wouldn't already be familiar with. However, it seems to be a decent primer for someone just getting interested in QRP. And lo and behold, we went from a discussion of QRP to a discussion of fan dipoles. Oh, well, so much for that! 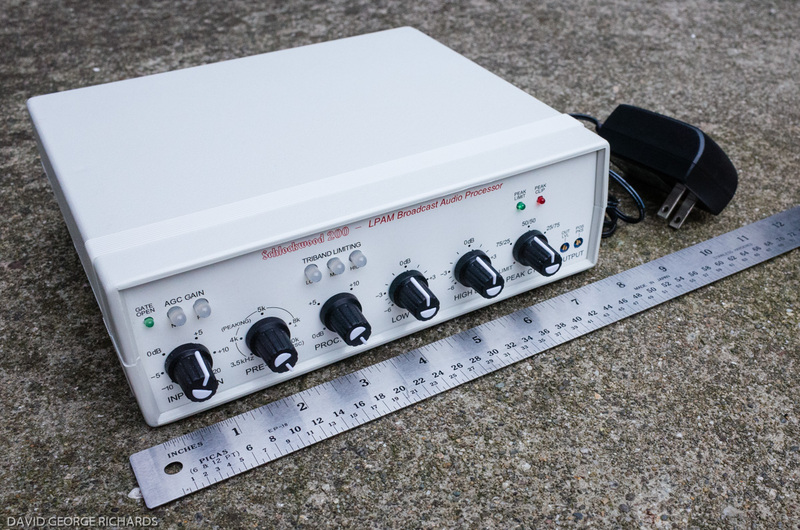 There's a new QRP Club, or new Yahoo Group, if you will. It's the California QRP Club and membership is open to any QRPer. Residence in the Golden State is not a prerequisite. 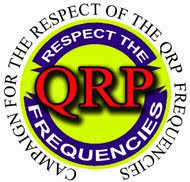 "The purpose and goals of the California QRP Club is to promote QRP. We don't have dues, we don't have officers, and we don't have business meetings. We do have monthly get togethers in San Jose, and we will be a co-sponsor of the qrp activities at Pacificon next year. The club will have two caretakers, Steve Smith, WB6TNL and Doug Hendricks, KI6DS. They will be responsible for the running of the club. We will not do anything that involves the exchange of money to the club. If there are expenses, Steve and Doug will pay them. We will also issue membership numbers, only upon request. You may get yours by sending an email to directly to Steve. Do not send your request to this list. It will not be acted upon. To get your California QRP Club membership number send an email to Steve Smith at sigcom@juno.com with "CalQRP Membership number" in the subject line. Steve will assign a number to you. I plan on doing more issues of QRPp, but it will not have a regular schedule and will be posted as a downloadable file in the file section of this list. The first announcement that we would like to make is that the club has an Amateur Radio Club License, and the call sign is WA6GER. We are dedicated to preserving the memory and legacy of Jim Cates, and plan on activating his call at least once a month. More on that later. This was formerly the club Vanity Call Sign of NorCal but it was allowed to expire and was not renewed. 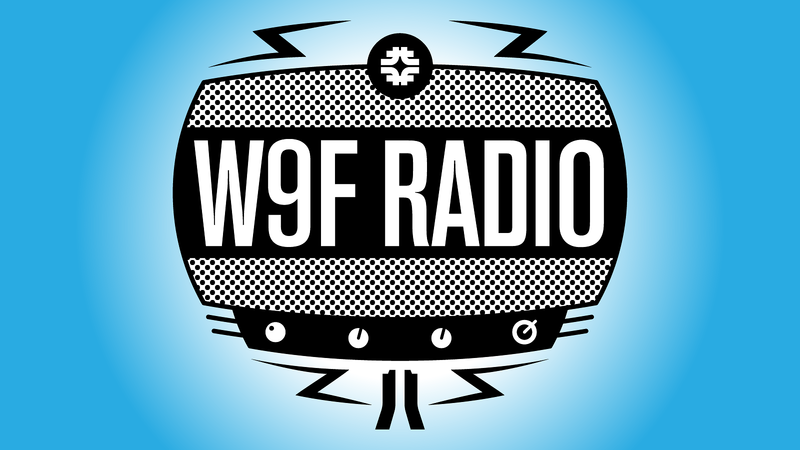 When the 2 year grace period for renewal had passed, the FCC cancelled the license and WA6GER was returned to the available call sign database where anyone could have claimed it. Steve Smith did the leg work to secure the call and I want to thank him publicly for it. Everyone is invited to join the California QRP Club, and you may do so by going to (Ed. note - see link above). and signing up." So there you - new group in town. ........ but what exactly are you doing?" That was question from another person here at work who passed by the picnic table where I was set up at lunchtime. This time, however, the person knew what Amateur Radio was when I mentioned it. 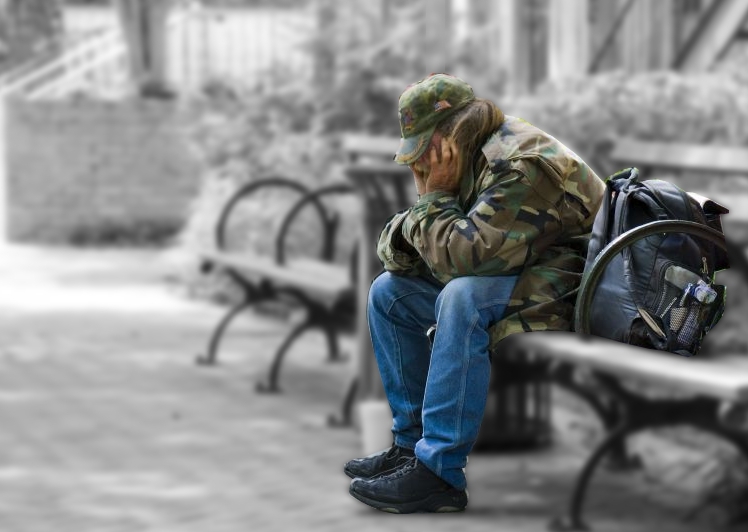 She asked me if I had contacted anyone, and I was able to tell her, "Yes. Hungary and Italy. Both contacted using less power than it takes to light up your average nightlight." She seemed duly impressed, and I was able to give "The Schpiel" once again. The stations I worked today on 20 Meters were HG500L, in Hungary. A special event station commemorating Martin Luther and his 95 Thesis - my Protestant friends will be celebrating the 500th anniversary of the Reformation next week. The other station I worked was IK6FWJ, Alessandro in Corridonia, Italy Al was running 5 Watts, too and he was loud! Definitely 599 and perhaps some over. it was nice to have a 2X QRP QSO - haven't had one outside of a sprint in a while. The magloop continues to work and surprise me. I was glad to have been able to participate in the Zombie Shuffle this past Friday evening. Oh, the reason it was last Friday and not this coming Friday (which is actually closer to Halloween) is that this coming weekend is the CQ WW DX Contest. The bands were not friendly. In fact 20 Meters was so dead that it didn't even support any "undead" Zombies. That left 40 and 80 Meters. I've seen on QRP-L that for many, 80 Meters was fruitful, but for me it was not. Right around the QRP watering hole of 3.560 MHz, I had S7 to S9 noise. Not sure what is causing it, but the lower parts of 80 Meters were as they always are. Even so, I did manage one QSO on 80 Meters with my not so far away neighbor, W2SH. The rest of my QSOs were made on 40 Meters, all five of them. A grand total of six QSOs in the span of about two hours. Pretty dismal, huh? Yeah, pretty dismal. On Saturday, members of the South Plainfield Amateur Radio Clun were invited to join with members of the Tri-County Radio Association, in their presentation of Amateur Radio to local Boy Scout troops. The guys from W2LI had quite an impressive set up. An IC-7100 was tethered to an OCF dipole and a VHF/UHF station was activated as well. After a brief presentation of what Amateur Radio is and what you can do with it, the kids were given a chance to actually get on the air and make contacts. 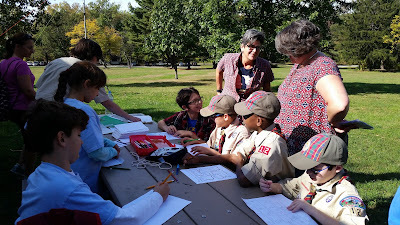 The Scouts had fun, none looked or complained of being "bored". While the older Scouts got busy on working towards their Radio Merit Badges, the younger ones got on the air. 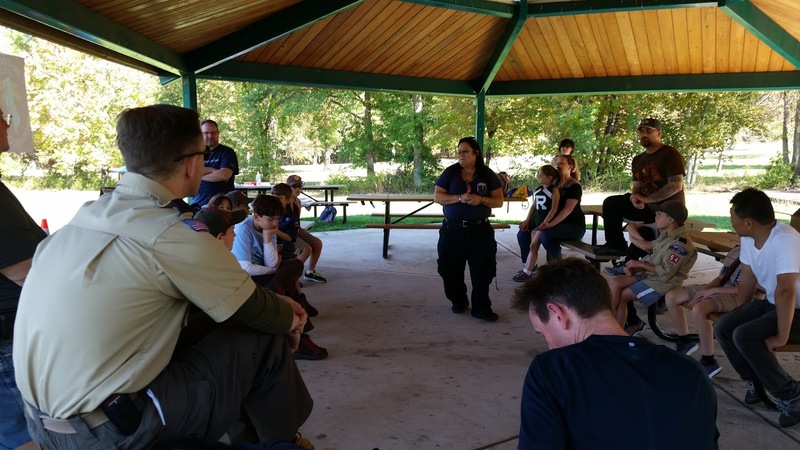 After some initial mic fright, there were plenty of exchanges with other Scouts around the country about ages, hobbies, locations, etc. The team from the TCRA also brought along a code practice oscillator and some printed out Morse Code sheets. This part of the afternoon seemed to have garnered as much attention as the HF station. The kids were fascinated by the Morse Code. It got to the point where some of the Cub Scout den leaders had to remind their charges that they had to share! The kids got a kick out of sending code while we translated what they were sending - mostly their names. It was tough duty, as spacing was all over creation; but when we were able to decode someone's fist, the kids thought it was the greatest thing since sliced bread. And of course, the adults were amazed with regard to the Morse Code, that Amateur Radio operators "still do that". I had to leave before the official end of the event; so I'm not sure of any mention was given about possible future licensing classes. 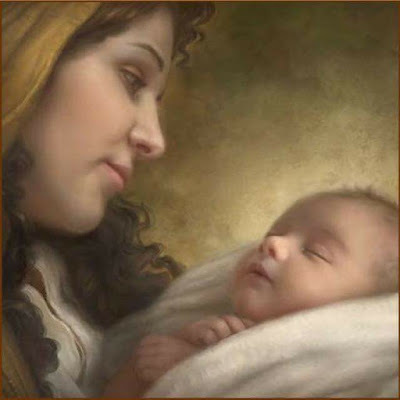 One thing is for sure, though .... seeds were planted in what is hopefully fertile soil. Maybe there were three our four (or more) potential Hams recruited last Saturday. 4:00 to Midnight, local time. See you on the air tonight! Another sunny day in NJ, so that meant another lunchtime QRP session. I decided to stay put on 20 Meters for a change. I did a bit of CQing as well as a bit of hunting. I stayed near the QRP area and heard many stations working a SOTAteer. I heard the chasers, but not the activator. I twiddled the dial and went up a bit to hear a very loud OM3KAP in the Slovak Republic calling CQ at around 14.063 MHz. And I was heard! But then, when the guy on the other end has antennas like this, how can you NOT be heard? Pretty good, eh? But then, with all that aluminum in the air, I'd be disappointed if I weren't getting RBN reports that looked like that. I didn't tell Miro that I was running 5 Watts to a magloop. After I gave him the report he was looking for, we signed. It was more than your typical DX "5NN TU" QSO, but not quite a rag chew. I was happy, though, to snag a bit more of DX. After OM3KAP, I went down to 14.0595 MHz, which was clear, and called CQ for a bit. I was answered by Mike KA5VZE in Tulsa, OK, who was also running 5 Watts. Mike gave me a 539 and I gave him a 569; but then things went downhill. Fading kicked in like nobody's business and we both dropped out on each other. Oh, what could have been! A potentially nice lunchtime rag chew kicked mercilessly in the behind by Old Man QSB. We heard each well enough for that final 73 and call sign exchange and the final, final "dit dit". It will be interesting to watch out for the stories coming out of Puerto Rico regarding the ARRL's "Team of Fifty" that was sent to help out with communications. I've seen snippets of stories on social media that suggest not everything was wine, chocolate and roses. 1) Someone who lives a lifestyle other than "sedentary"
2) Someone who is used to staying behind the radio for a long period of time - i.e a contest type of person ....OR a DXpedtion type of person. 3) Someone who doesn't mind operating solo, is accustomed to operating in less than ideal conditions, and who can improvise and adapt when necessary. To me, this just screams of SOTA, NPOTA or POTA. 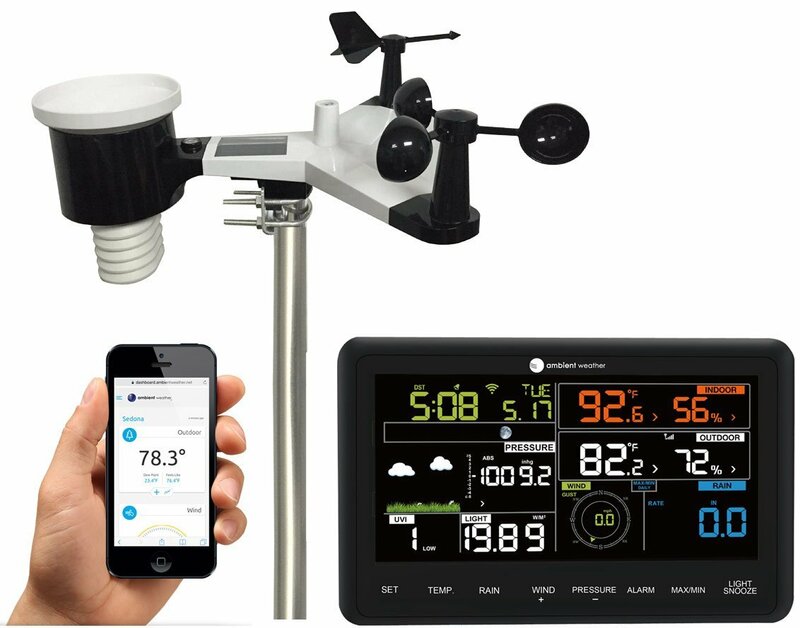 It seems to me, in a situation like Puerto Rico, you just can't hand your average "Joe Ham" a Pelican case full of HF and UHF/VHF equipment with a power supply and antenna and just tell them, "go to town". Ideally, the people sent should have been (and may have been for all I know) experienced in toting their own equipment around (backpacking/hiking), and operating under adverse conditions. Small, portable but yet powerful enough radios with wire antennas, lithium batteries, foldable solar panels and associated accessories would seem to have fit the bill, entirely. But all that would do no good if the operator him or herself were not familiar with passing third party traffic or at the very least, sending information at a fast pace in a short amount of time (as in contesting or running a DXpedition pileup). I know a lot of people get miffed about all the contests on the air on weekends (and I'm not big into contesting myself) but it IS a somewhat primitive method of preparing someone to be able to handle a Puerto Rico kind of situation. In that regard, I think that SOTA, NPOTA, POTA and DXpedition people are kind of an almost perfect mix - because if you've ever worked any of those people, they handle(d) hundreds of QSOs in a small amount of time, as rapidly and efficiently as they are able. I know that the conditions that these people usually operate under aren't nearly as stressful as what's going on throughout that island, but I think they have the best mix of capabilities and demeanor to be able to pull it off. 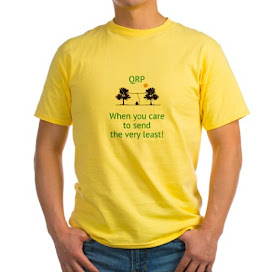 QRP - When you care to send the very elast! Today is a sunny and warm day in New Jersey, with a lunchtime temperature of about 66F (19C). This made it a good day for some outside QRP, as the sun made it feel a bit warmer than it actually was, thus providing a comfortable operating experience. The fact that the leaves on nearby trees are changing and are very colorful didn't hurt, either! I set the station and magloop up in all of about 5 minutes. I seem to be getting better at this. 20 Meters was alive with some activity, but not overly crowded. I worked Josef at DL0IL in Germany, and then a little later Alexei who seems to be on holiday in the Canary Islands EA8/UA4WW. Both were decently loud here. I got a 559 from Josef and a 579 from Alexei, so they both seemed to be "honest" RSTs, as opposed to "cookie cutter" 599s. I heard a French station around the 20 Meter QRP watering hole, but I couldn't quite make out the call. He was also decently loud here, perhaps even louder than DL0IL and EA8/UA4WW. However, his fist was shaky, and his callsign was extremely hard to make out. F6VAT, or something like that? RBN showed him as F63AT, but that's not a valid call, either. Anyway, it mattered not, for as loud as he was, I wasn't able to get him to hear me, even after trying 4 or 5 times. So much for reciprocal propagation, eh? 1) Magloops work, as improbable as that may seem (to me, anyway - still seems weird to me). 2) They seem to work as well, if not better, than compromise verticals, such as the Buddistick or a Hamstick. 3) I have no way of proving this right now; but my hunch would be an EFHW in a tree would perform better. This would be an interesting experiment, to see if I could set them up side by side, for at least a listening comparison. 4) It would seem to me that a permanent "home station" antenna such as a dipole or full sized vertical would have a better performance edge. This would seem to be only common sense, given the size and efficiency of these antennas. So when is a small magloop antenna a viable solution? 1) When you are portable, and you are pressed for time and require a very quick set up and tear down. 2) When you are bound by an HOA or other agreement that does not allow for outdoor antennas at your home QTH. 3) When you are operating portable and using trees is out of the question because A) there are none, or B) it is prohibited. 4) When you are operating portable away from your vehicle, thus losing a very effective ground plane for a compromise vertical. 5) When it's all you've got! My magloop will continue to remain as one arrow in my antenna quiver. 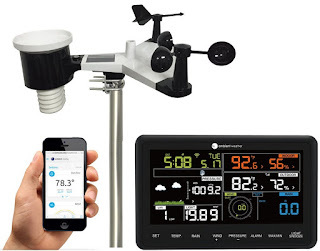 I doubt I would ever rely on it, entirely, in an outdoor Sprint such as FOBB or the Skeeter Hunt, although it might be interesting to give that a try, some day. I think I'm going to have to pull out my WSPRlite and do some more testing, in the mean time. I did not have a walloping amount of success with the QRP-ARCI Fall QSO Party over last weekend. Granted, I didn't put in a lot of time. I would have made a bigger time investment had my QSO rate been higher. I got on the air both mornings, Saturday and Sunday, around 1400 UTC or so. 20 Meters seemed dead on Saturday and on Sunday, I was able to make out a few whispers of signals, but that was about it. 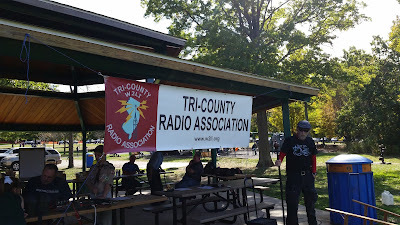 40 Meters was active as all get out on both days ......... with Pennsylvania QSO Party participants. It seemed like wall to wall PA QSO Party'ers, as a matter of fact. And don't get me wrong, I'm not complaining, it's just that unfortunately, there didn't seem to be many QRPers on the bands. In all, between calling "CQ QRP" and tuning around and pouncing (no panadapter here, guess I'm too 'old fashioned'), I made about seven Fall QSO Party contacts in the span of a combined total of about three hours operating time. I'd be more willing to glue my posterior to the shack chair for a larger turn out. If band conditions and a low participation rate seem to be the dominant factor, well then ....... I have more useful ways to spend my time. 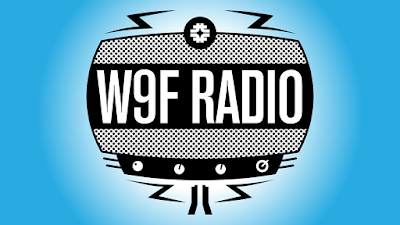 My fingers are crossed that The Zombie Shuffle, occurring this Friday night will see more QRPers on the air, and as a result, will yield a lot more fun. 2017 FOBB Results are in! Sometimes I make the mistake of going over to eHam or QRZ and reading the forums. I say "mistake" because of one type of post that really gets my blood pressure elevated. Those are the ones by Amateur Radio ops who dismiss the value of Amateur Radio in Emergency Communications. I understand that some Hams feel there is too much emphasis on EMCOMM by the ARRL and other organizations. They usually dismiss the people they are speaking with by saying something like, "Yeah, When All Else Fails ....... like that's going to ever happen!" I don't want to hear that from anyone, ever again. I think over the past weeks, we have seen that not only is "When All Else Fails" possible - it can happen at anytime, anywhere. The power of Nature laughs at our infrastructure. The sin of pride fools us into thinking that as human beings, we are infallible; and that our edifices are indestructible. The hurricanes in Texas, Florida and the Caribbean, as well as the wildfires in California are showing us that humans are no match for the forces of water, wind and fire. All our finest efforts in building and engineering can be laid to waste in a matter of hours. As we have seen in Mexico, in the case of an earthquake, that could be minutes. When a disaster occurs, Amateur Radio operators are poised to go into the breach, volunteering their time and talent, or even their treasure by donating to the ARRL's Ham Aid Fund. Our brother and sister operators (when asked) will always be running towards where other people are running away from. God bless them and the First Responders that they support!